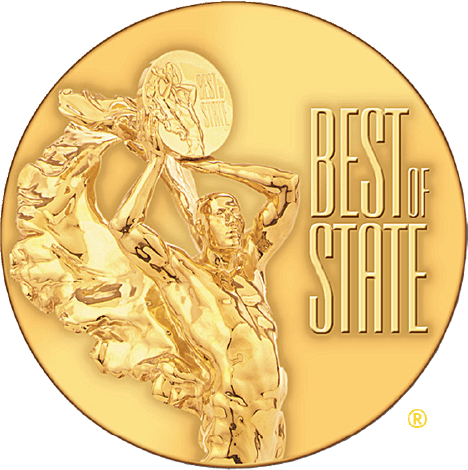 Best of State is an organization made to share the best that Utah has to offer in every category. A+ Garage Doors won, not just for garage door repair specifically, but for any kind of residential maintenance & repair. Best of State gives awards to businesses that are able to demonstrate excellence in their field, innovation in their approach, and a contribution to the quality of life in Utah. 1: We produce quality work with warranties that we stand by. 2: We bring customer service back into the home repair game, and trust back into customer service. Having worked in business and garage repair in the area for years, we had realized that many garage door repair companies wrote their warranties with built-in loopholes so that they wouldn’t have to fix the results of their low-quality parts and service. A+ was built differently. We offer comprehensive warranties because we’re proud to stand by our work. Because our warranties are thorough, it’s in our best interest to get it right the first time, which keeps your home safe and secure, and prevents you from having to worry. Of all the awards that we’ve won during the time we’ve been in business, the thing that makes us the most proud is our customer satisfaction rate. We know that before you invite someone to work on your home, you do research to get an idea of the reputation of the company. We’re confident that whenever someone checks out reviews about our business, they’ll see an overwhelming flood of positive responses. That’s because of amazing customers just like you! We make it a priority to communicate effectively, and really understand our customers and their needs. We always want you to be happy to see one of our experienced technicians at your door, ready to go to work. So, in light of this Best of State award, the biggest thing that we want to say is a huge thank you to our customers! We’re lucky to do business with such wonderful individuals and families.